We’ve reportedly got positive news incoming as our talented youngster Rhian Brewster has been tipped to sign a professional deal with Liverpool. The 18-year-old has been impressing at youth level, scoring six goals and providing seven assists in 15 appearances in the Premier League 2 and UEFA Youth League last season. However, there was concern over his long-term future as he prepares to sign his first professional deal, as to whether he would extend his stay at Anfield or be swayed elsewhere. As per the Telegraph’s Chris Bascombe in his tweet below, it’s been suggested that Brewster has already agreed terms on the deal, which is being touted as running until 2023. Excellent news for LFC. Teenager Rhian Brewster has agreed terms on his first professional deal. Ends uncertainty around his future. Will sign imminently, expect deal to be until 2023. Provided everything now goes through with no hiccups, that is great news for our long-term vision as Brewster could develop into a key figure moving forward if he continues to improve and takes his chances in the senior side if given to him by Jurgen Klopp. As seen in the tweets below, the reaction from most of us pretty much says it all as he’s an exciting talent, and it’s great news that he will now potentially commit his future to us soon. 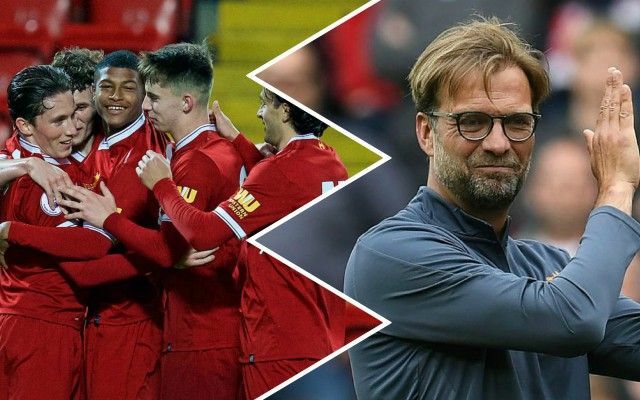 Given his work with other players since arriving at the club, Klopp will surely relish the chance to develop Brewster’s talent, possibly now following Trent Alexander-Arnold into the first-team. That is truly amazing, makes me happier than any signing. Brewster is brilliant.